Video Freezes or Plays without Sound on Android. How to Fix? What to do if video freezes but audio plays, the clip plays without sound or audio is not synced to video? The answer is – install the right Video Player app! Our reader asks for a help: I’ve got an action camera Sony X3000 that records in 4K @ 30 fps. When I came back home after a vacation I decided to download videos recorded by my action cam to my Galaxy S9 and you know what? I was unpleasantly surprised. The clip played but there was no sound. Just the silence! I tried to play videos on Google Pixel, Redmi Note 5, Samsung Galaxy Tab A6 but the result was still the same – no sound. How can I fix the issue? Actually, I’m totally okay that my old phones may not support the codec. But I can’t understand how can my brand new Galaxy S9 be unable to cope with the playback of a 4K 30 FPS video while it shoots 4K 60 FPS itself!? It is normal. I had the same problem when I used the stock video player on Galaxy S9+ and Google Pixel XL. As you rightly admitted, your Galaxy S9 records 4K at 60 FPS. It means that it is powerful enough. 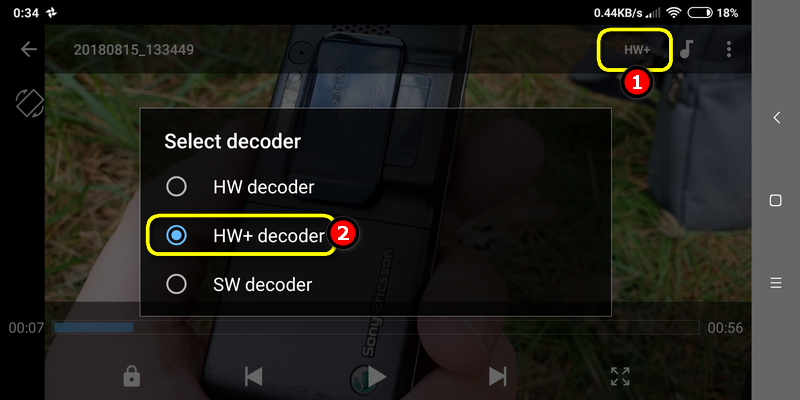 So in most cases video or audio won’t play because your Android device lacks some audio/video codecs. As the result you can either have an error like “Can’t open this file” or have no sound. I advise you to install the MX Player app from Google Play Store and there is a high probability that you will make your phones and tablets play all video files from your cameras. The app is great. It has the biggest number of codecs embedded in itself. Besides that, MX Player is often able to play videos which stutter in other apps. If this app solved your problem completely and you have now all your videos from all your cameras playing back normally I advise you to install a paid version – MX Player Pro. It’s the same but it is ads free. Personally I use this one on all my Android devices. I paid once but I use it everywhere because all my phones and tablets are attached to the same Google account.